Constructed of the highest grade MDF, engineered for durability to prevent warping and last a lifetime. The set includes the matching mirror for a complete coordinated set. 8-stage painting and finishing process. Floor-standing vanity. Contemporary, unique design is perfect for a cutting edge powder room application. Single-hole faucet mount. Faucet not included. Includes white man-made stone counter. Includes Pyra White Porcelain Vessel Sink. Includes matching mirror. No external hardware. No drawers or doors. 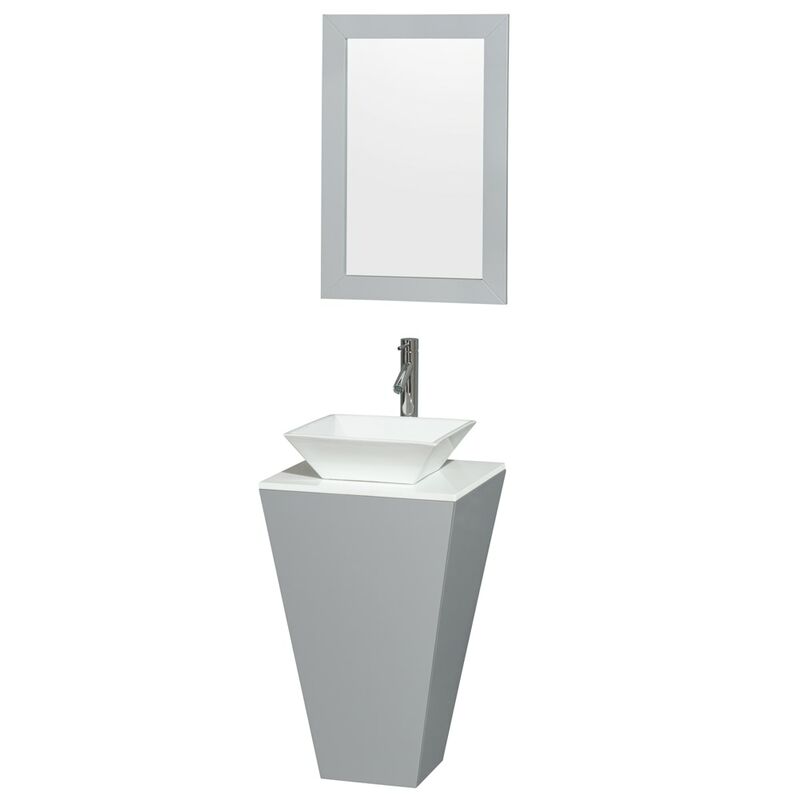 Dimensions - Vanity: 20" x 20" x 30.75"; Mirror: 20.75" x 1" x 30"